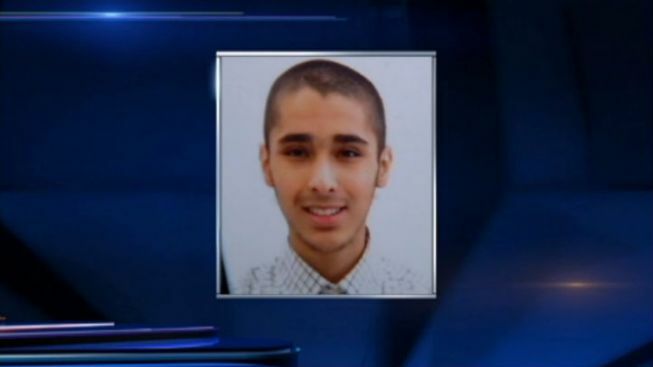 The government said Thursday it will fight a federal judge’s decision to release a suburban Chicago teenager, accused of attempting to link up with what he thought was an al-Qaida-backed terror group in Syria. Abdella Tounisi of Aurora, Ill. is charged with attempting to provide material support to a foreign terror organization. Tounisi has been on the government radar since last summer, when he and a friend, Adel Daoud, allegedly discussed bombing a west suburban restaurant. An FBI affidavit says Tounisi "recommended certain attack techniques, offered ideas about targeting, and researched locations online to analyze their feasibility," but eventually backed out of the planned attack, in part, because he believed a third party with whom Daoud was associating was an undercover law enforcement agent. After Daoud was arrested in September, Tounisi was visited by FBI agents, who said he admitted assisting Daoud in "target selection." But they said in spite of that visit he continued doing "extensive online research" on violent jihad, centering on Syria and an Al Qaeda-backed terror group there. Unbeknownst to Tounisi, the website he visited was actually an undercover front maintained by the FBI. When he sent emails asking for assistance in joining the Syrian group, officials said, his messages were being read by the federal agents. On Thursday in court, prosecutor Bill Ridgeway begged Judge Daniel Martin to keep Tounisi behind bars. "This is someone who has expressed an interest in dying as a martyr," Ridgeway warned, noting that when he was interviewed by the FBI, Tounisi admitted his "interest in engaging in jihad overseas." Prosecutors revealed they had been listening in to the family’s phone conversations for months, and had heard a Tounisi relative pleading with the boy, "You will not die a martyr…you will die like road kill!" Defense attorney Molly Armour insisted Tounisi posed no danger. "He’s charged with attempting to leave the community, not harm it," she said. "The word terrorist is a word that tends to taint everything it touches." The judge said he felt a need to protect the community but would allow Tounisi to be transferred to home confinement. Still, he delivered an angry lecture to the suspect. "This is no game, Mr. Tounisi," Martin scolded. "You’ve got an entire law enforcement wing concerned that you could do some terrible things." The judge indicated he felt comfortable putting Tounisi’s father in charge of his confinement, despite the fact that prosecutors had submitted evidence that the family had been overheard saying they were powerless to stop the young man’s jihadi ways. Tounisi stayed in custody Thursday as his parents scrambled to have a land-line phone installed to transmit data from the home monitoring device. Prosecutors said they would go before a different judge Friday morning to keep him behind bars.